Zhu Min, deputy director general of Jiangsu Provincial Commission of Health and Family Planning, at the exhibition launch. 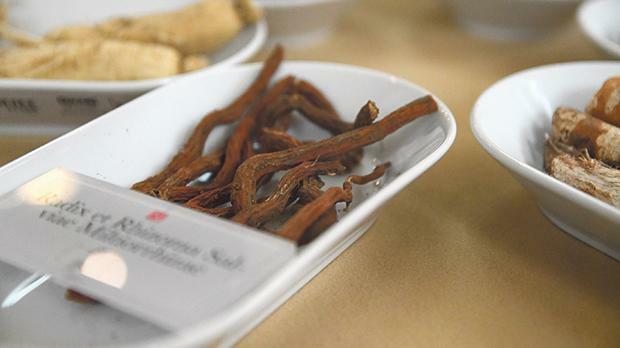 Enthusiasm for Chinese culture and traditional medicine is gaining ground in Malta. This was confirmed by the generous public attendance to several events which were organised last week by the Jiangsu Provincial Commission of Health and Family Planning and the Jiangsu Provincial Bureau of Traditional Chinese Medicine. The activities were managed by the China Medical Team of the Mediterranean Regional Centre for Traditional Chinese Medicine in Paola. 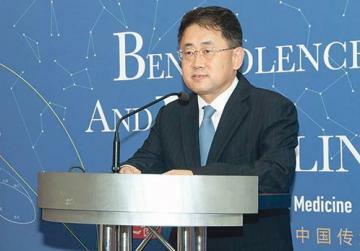 The Ambassador of China in Malta, Jiang Jiang, delivering a speech. Ranging from lectures and Tai Chi and Baduanjin performances to free medical diagnoses and treatments, the days were a hive of activity for those who wanted to know more about alternative medical therapies available locally. 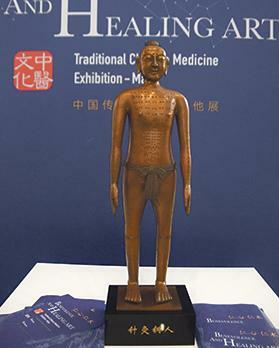 Activities reached a peak with the launch of an extensive exhibition relating to traditional Chinese medicine at the main reception area of Mater Dei Hospital. The first event was held at the Paola Local Council on October 10 and included a lecture by Zhou Xianmei, a consultant at the Department of Respiratory Medicine of Jiangsu Provincial Hospital of Traditional Chinese Medicine. Dr Xianmei discussed the San Fu plaster therapy, used to cure several diseases in summer, including pulmonary ailments, chronic bowel disease, rheumatic arthritis and the common cold. 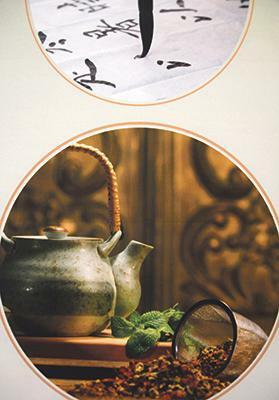 San Fu plaster is made from selected Chinese herbs. According to ancient tradition, this plaster is attached to specific acupoints of the patient’s body. Aided by open pores in summer, the warm and hot nature of the herbs sealed within the plaster help to heal the body by entering the blood circulation to create a pharmacological effect. In an October 11 event, the public was invited to attend the centre in Kordin and introduced to the various medical services offered there, including acupuncture, cupping, tuina massage, moxibustion and auricular needle. Participants had the time to discuss any medical problems they had with the Chinese team of doctors. Those who received free diagnoses and treatments by the Chinese medics praised the knowledge of the doctors and their friendly approach. 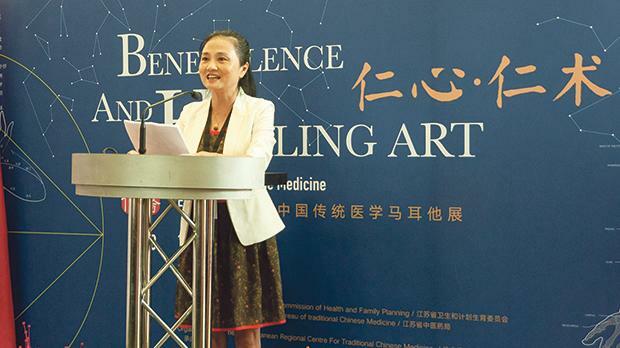 Later that evening, Wu Wenzhong, from the Department of Acupuncture and Moxibustion, and vice president at Jiangsu Provincial Hospital of TCM, conducted a lecture at the China Cultural Centre in Valletta. During his lecture, Prof. Wenzhong introduced the role of traditional Chinese medicine in treating chronic diseases and insomnia, and a demonstration on acupuncture, massage and cupping. The official launch of the exhibition Benevolence and Healing Art at Mater Dei Hospital last Friday was the culmination of the activities which provided an opportunity to develop further understanding of the benefits which are offered when using traditional Chinese medicine alternative therapies. Clarence Pace, director general of the Department for Health Services from the Ministry for Health, Ivan Falzon, CEO of Mater Dei Hospital CEO, Zhu Min, deputy director general of Jiangsu Provincial Commission of Health and Family Planning, and the Ambassador of the People’s Republic of China in Malta, Jiang Jiang, delivered a speech at the opening ceremony, which was hosted by Shi Jiangfeng, director of the 14th China Medical Team in Malta. The purpose of the exhibition is to help the Maltese people, including medical staff, to get to know more about traditional Chinese medicine and its benefits. 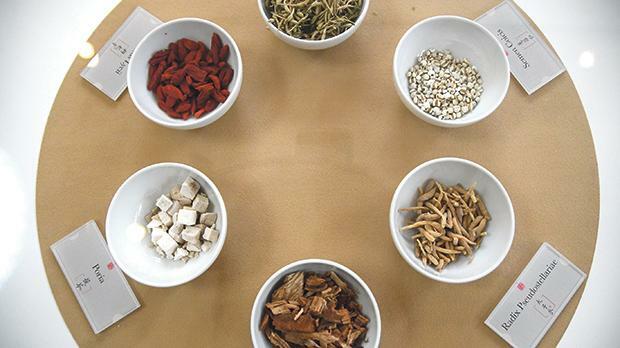 Starting from China, traditional Chinese medicine therapies are now acknowledged and used worldwide. 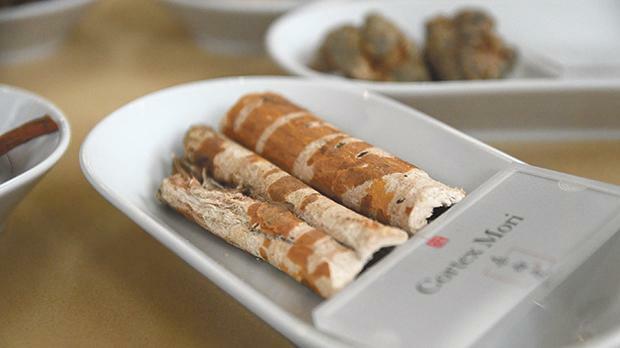 In 2010, acupuncture and moxibustion were shortlisted for the Unesco Intangible Cultural Heritage List. A selection of Chinese herbs, together with a set of ancient Chinese tools displayed in this exhibition, shed further light on these therapies. The exhibition also introduces Chinese scientists and doctors who have made remarkable discoveries to help humanity be in better health. This event was concluded by a lecture from Prof. Wu Wenzhong. He gave detailed explanation of the basics of traditional Chinese medicine and proceeded to highlight the different modalities of therapy, including a study of thunder-fire moxibustion. which is used to treat osteoporosis. Meanwhile, the sharing of this useful information about traditional Chinese medicine seem to have left an impact on the audience present, most of whom showed interest in trying out some of the treatments. 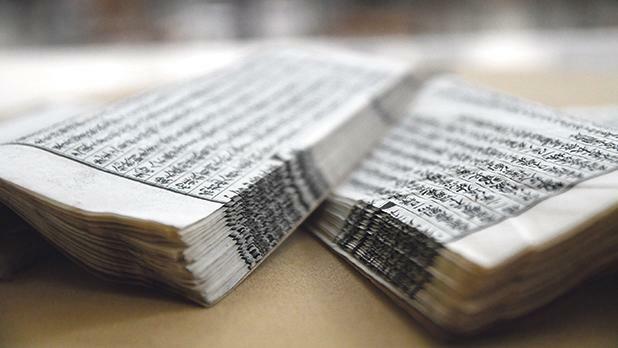 The exhibition at Mater Dei Hospital will remain open to the public until December 10.